These are reviews 2&3 of 6 for FPN member Alecgold. 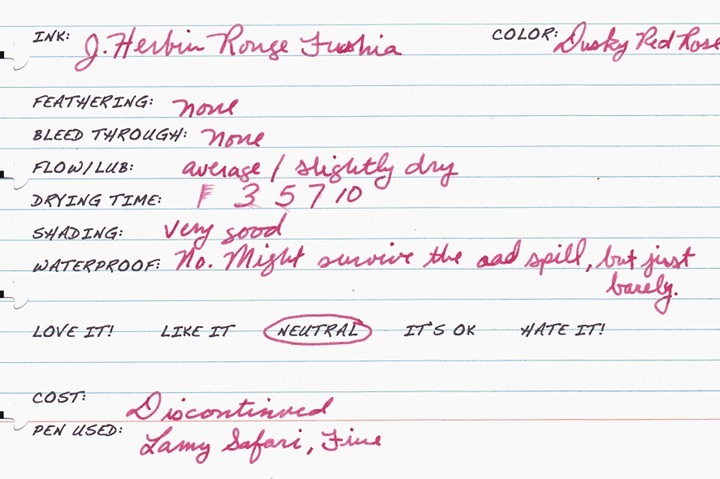 J. Herbin Rouge Fuschia is a discontinued J. Herbin ink. It has been replaced by Rouge Opera. The two inks are nearly identical. Both colors can be described as a dusky red rose sort of color. Rouge Opera seems a tinge more saturated and a little more lubricating than Rouge Fuchsia, but not by much. Honestly, with the bottle of Rouge Fuschia being so old these differences might just be a function of age. I’m unsure. 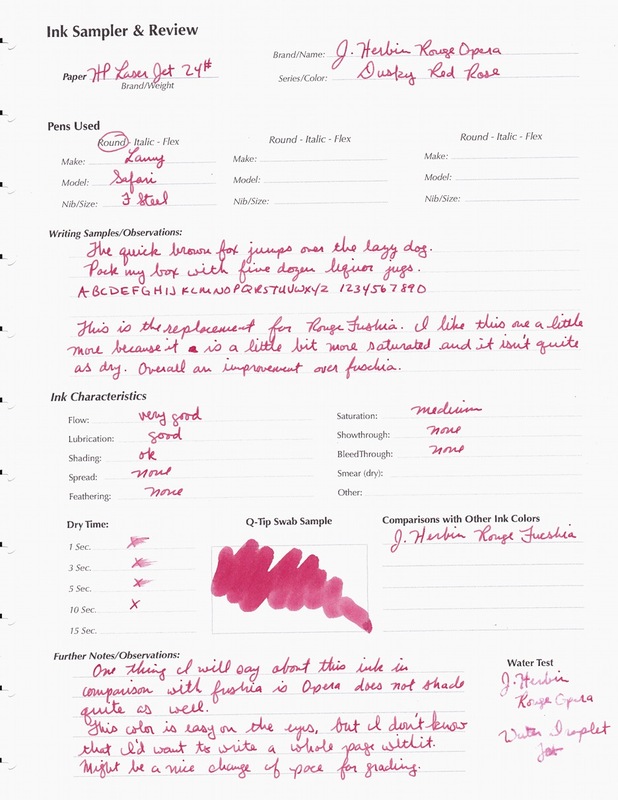 These colors are well-behaved as one would expect from a J. Herbin ink. 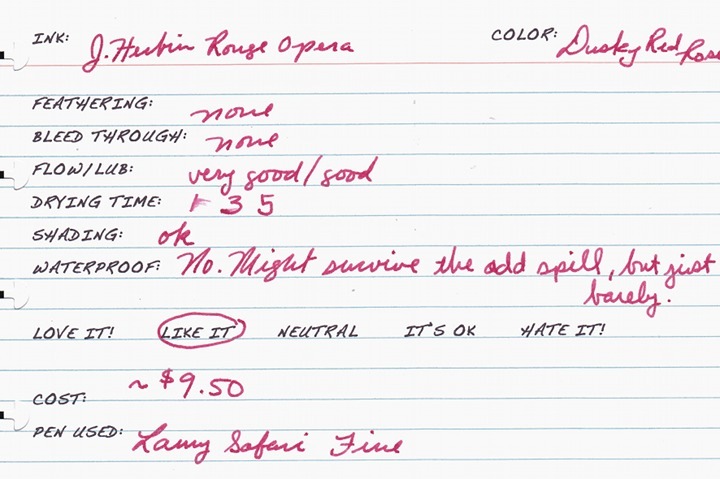 Flow and lubrication of Opera is a bit better than that of Fuchsia, but they are both good. Neither ink is water proof or even really water resistant. 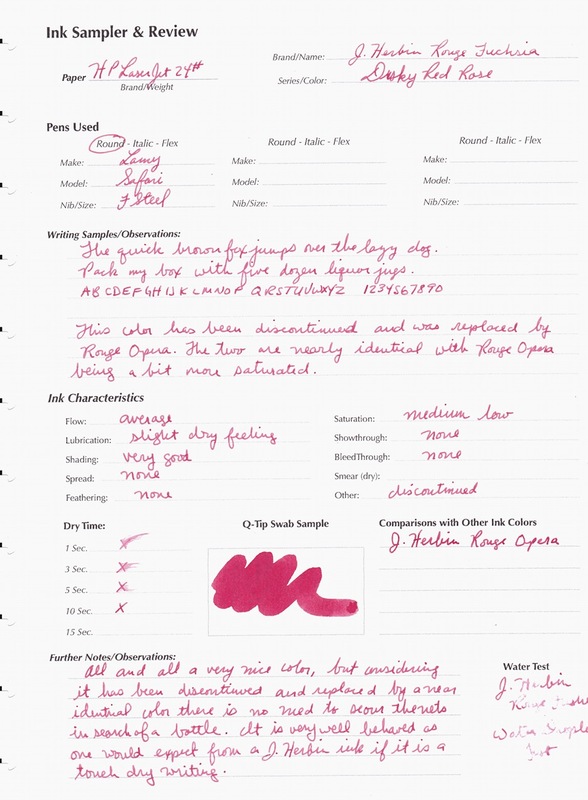 All in all I think Rouge Opera is the better of the two inks. In my opinion there is no need to go in search of the discontinued Rouge Fuchsia. Alec reviews 2&3 of 6. No affil.